In the underwater town of Bikini Bottom, everyone loves eating Krabby Patties. 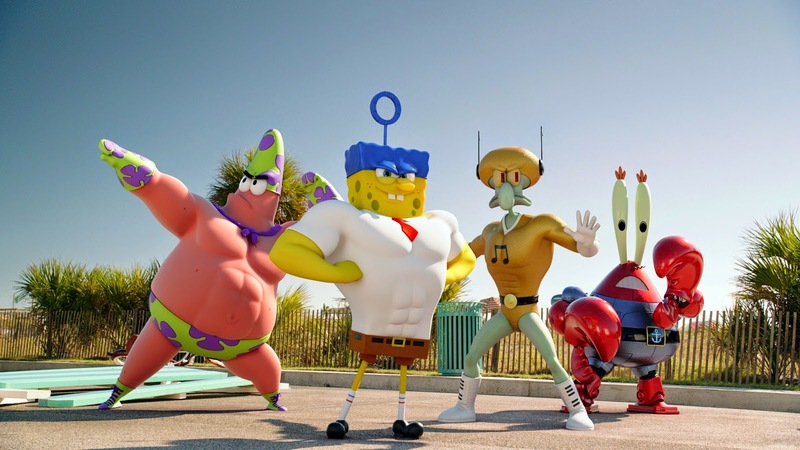 SpongeBob SquarePants loves his job as the Krusty Krab fry cook that makes everyone happy. Plankton, the owner of a rival restaurant, conspires to steal the recipe for Krabby Patties – but as he is about to steal it, it vanishes, throwing all of Bikini Bottom into chaos. SpongeBob and Plankton have to put their enmity aside in order to recover the recipe for Krabby Patties and to bring peace to their town. They’ll have to follow the recipe – which means a visit to the dry world. A magical book allows its holder to rewrite history, but it is currently in the possession of the cruel pirate Burger Beard. Oh, yeah, and they get superpowers. There is no mention of adoption in the movie. Kids who have been through rough seasons of life might have their imaginations captured by the thought of a magical way to rewrite their own stories. SpongeBob’s closest friend turns against him temporarily, which might be sad for kids who’ve experienced the loss of valued relationships. SpongeBob is honorable. He defends his enemy when his enemy is falsely accused of a crime. When Plankton says he thinks everyone is a liar, SpongeBob tells him that his worldview isn’t so good. SpongeBob sings about the value of teamwork, but he doesn’t seem to have good standards to help him select trustworthy teammates. Some scenes could scare very young viewers. A skeleton attacks a man. 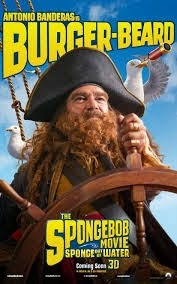 A pirate, who regularly talks with birds, convinces them that he has killed and cooked one of their friends. 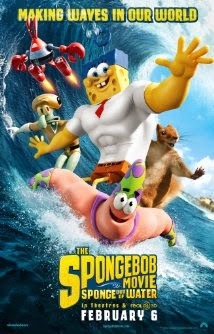 SpongeBob is almost killed as a living sacrifice. This one seems pretty safe. It is entertaining enough to hold my attention for its 90-minute runtime, and it does offer at least three interesting imaginative questions to ask your youngsters. It's probably best-suited to kids ages 6-10. Plankton dives into SpongeBob’s brain. What would the world inside your brain look like? If you could write your own history, what would you write into it?